I approached Magic Johnston just after noon last Saturday, my heart singing for a world of delicious baked goods gathered from across the city. The first Flour Market – a congregation of some of Melbourne’s best and emerging bakers and their coveted creations – had been my sole weekend mission. As I arrived, however, I was met with the equivalent of tumbleweed drifting sadly across the bright and sunny event space. Brown paper lay strewn across benches, tantalising treats listed and crossed out in thick black marker: SOLD OUT. It would seem that, as I lay in a blissful Saturday sleep-in, a whole lot of early birds swept in to catch the doughnut. And brownie. And cruffin. Really – I should have known better! I’ve been spoilt in the realms of all-day breakfasts, and forgotten that a baker’s world is one of the morning hours. In a foodie city like Melbourne, the advertised 3pm finish time surely never stood a chance. Nevertheless, it was with a heavy heart and empty hands that I walked back along Johnston Street. Mat, who I’d excitedly brought along with me, did well to respond kindly to my otherwise comical dejection. He did even better when, barely minutes into the drive home, he pulled a sudden right off Johnston Street and parked with a promise of consolation. And so was my first visit to Casa Iberica. A family-run business for over forty years, Casa Iberica is a little deli on the corner of Johnston and Spring streets in Fitzroy crammed with food goods from Spain, Portugal and Central and South America. Mat had discovered and visited once before on a hunt for dried smoked chipotle chilli and black beans for this Jamie Oliver Vegie Chilli recipe. Until Mat’s expedition, neither of us had any idea that such a trove lay beyond the graffitied roller doors we passed whilst normally in the area outside of business hours! From paella pans to palm hearts, ancho chilli to acai ice-cream – each shelf, fridge and freezer is packed full of an incredible variety of authentic, specialty items. However, Mat had brought me to Casa Iberica for one special thing: the custard tarts. 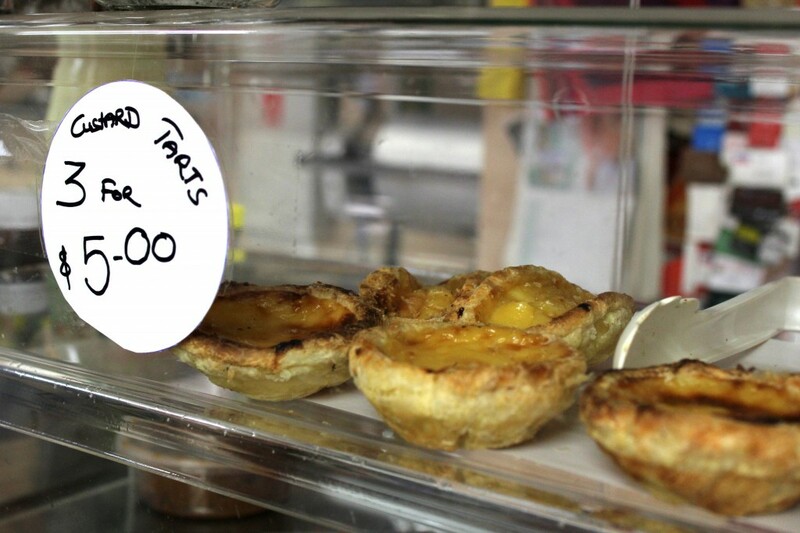 Hailing from Portugal, where they are called Pasteis de Nata, the custard tart is a delicacy to die for. I tasted my first one at the Hopetoun Tea Rooms a few years ago, and it’s been a passionate love affair ever since. It would seem the custard tarts at Casa Iberica have somewhat of a cult following – and I can definitely see why! They are some of the best I’ve tasted. The pastry strikes a delightful balance of crispy and chewy, and the custard is perfectly textured and beautifully flavoursome without being super rich. The price tag, at three for $5, is certainly a winner as well! I would highly recommend popping in to try them if you’re in the area – though as with the Flour Market, the earlier the better is perhaps a good lesson to heed. Particularly on a Saturday, when the little store is jam-packed with customers, it looked like we were lucky enough to scoop up some of the last few remaining tarts. 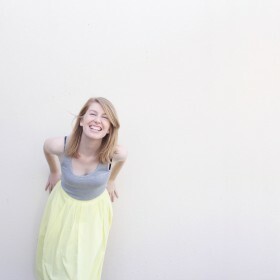 Thank god – I don’t think I could have dealt with that kind of heartbreak again! 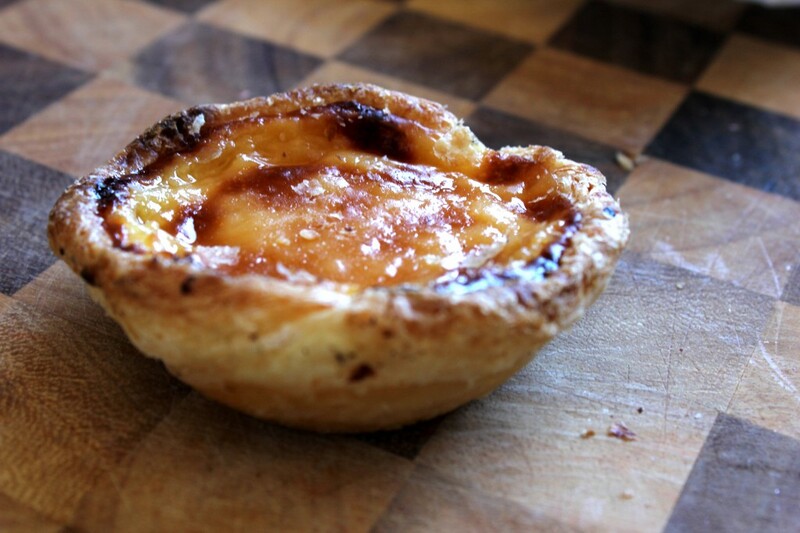 So, despite missing out at the Flour Market – a little, delicious custard tart (or three) saved the day. And fortunately the Flour Market is set to be a recurring event – so next time I’ll be armed and ready at opening time with the rest of Melbourne’s crazed foodies!